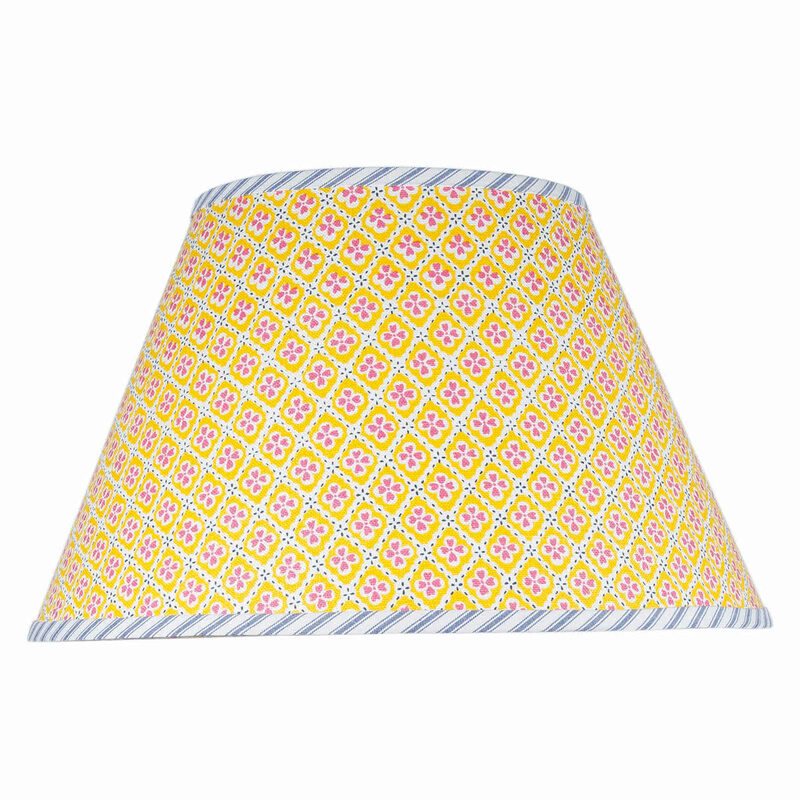 Custom-made Lamp shade made in Anna Spiro Textiles Paniola Multi Yellow, Pink and Navy with contrasting cuffing in navy ticking. This shade is available as a custom order. Please allow approx 6 weeks from order date to delivery.